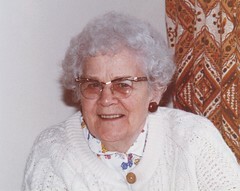 The genealogist pored through the online data, looking for her great-great-uncle David who had disappeared into the USA. (As have a lot of other people. Frightful place!) Perhaps he can be located somewhere in the Federal census? Aha! 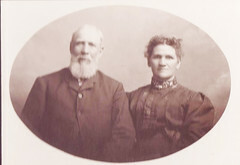 A David Vance and his wife Margaret arrived in Michigan in 1896. They are in the 1900 and 1910 US census records. In the 1920 census he’s listed as a widower with daughter Charlotte (Lottie), age 43, still with him. The researcher copies all the pertinent data and then relaxes. Suddenly her eye catches sight of something strangely familiar in the right sidebar of the Ancestry.com page. Curious, she clicks on the item. Up pops a death certificate for a Donald Allen Vance…and it gives his parents as Joseph Vance, born in Scotland, and Sarah Allen born in New York. The researcher blinks in disbelief. What’s going on here? She has already recorded the children of her great-great grandparents and there’s not a Donald in the lot. But the parents’ details given here can’t possibly be a happenstance duplication. She examines the evidence, a record stating very clearly that Donald Allen Vance was born about 1845 in Oxford County, Ontario and died Oct 17, 1937 at the age of 92 in Big Creek Township, Oscoda County, Michigan. In addition to giving his parent’s names, it says that he was a widower. So there must have been a marriage. One clue. If he was born in 1845 he would have fit in between brothers George (about 1843) and David (born February 1849 or 50). Then comes great-grandpa Samuel, born in 1853. Feverishly the researcher clicks back to the 1861 Ontario census hunting for this mystery brother. Nope. The 1881 census? Nope. The US federal censuses for 1900, 1910, 1920? Nope, nope, nope. What about the Ontario marriage registrations? Nope. No record of a Donald (A or Allen) Vance, child of Joseph and Sarah, can be found – except for the day he died. How can a man die without leaving a trace that he ever lived? Was he a derelict until his last years? Did he run away from home as a young boy and spend an adventurous life looking for Yukon gold? Surely census takers would caught up with him somewhere. Maybe he became a spy for the forerunner of the CIA and they obliterated his past? Perhaps, like myself, this great-great-uncle of mine was taken or sent to live with other relatives and enumerated as one of their family? Interestingly enough, there were precious few Donald Vances recorded in Ontario – because they were lowland Scots? But a few there were, and oodles in the States – but not in Michigan. 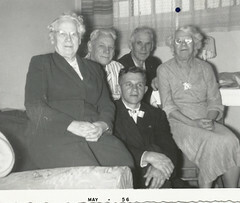 This entry was posted in History, Vance Family and tagged Donald Vance, family tree, genealogy, immigration, Michigan, mystery, Ontario history. Bookmark the permalink. 2 Responses to Who Was Donald Vance? Very interesting Chris. I now have another great uncle that nobody knew about. 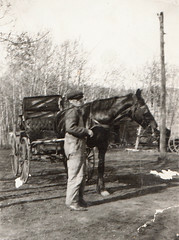 Your guess that he was given to other relatives to raise is a good one as young boys were useful for doing farm work. Perhaps he ran away. It’s another family mystery. If he was born in 1845 he would have been 6-7 at the time of the 1851 census, yet I can’t find him in our family. He’d have been 16-17 in 1861; I checked all the Donald Vances in that Ont census and didn’t find anyone that would have fit the bill. None of the family tree info that came down from the grandparents mention a Donald, either; it’s just not a name that’s been used in our family. On a later voters’ list I found a Donald Vance in Brantford, a welder, married. But of course no parents given there. I’m going to go back and look at the info I got from Jean Stevens.